Woven in Turkey on jacquard looms in a weight of 650gsm. They are frequently used in commercial situations. 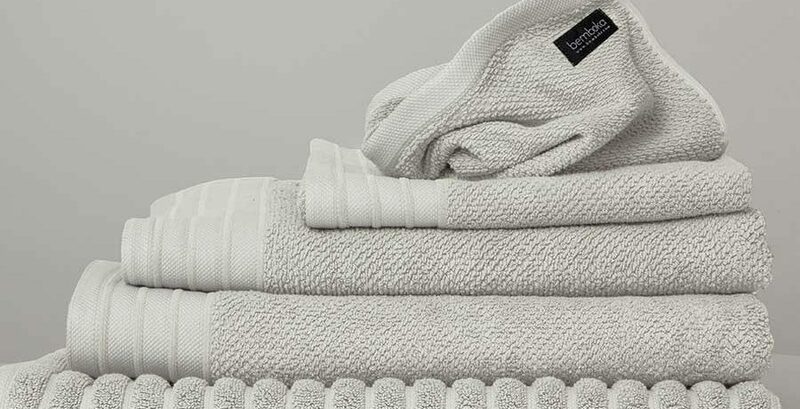 These luxury towels are soft, thick, highly absorbent and long lasting. The beautiful pique border design with chenille ribbed stripes and a sophisticated neutral colour palette make these towels a bathroom classic for years to come.